This Democrat’s past is coming back to haunt him. His harsh attacks against the GOP were the crutch he leaned on to win his election. But now, these very attacks could derail his entire campaign. During his 2013 run for Attorney General, Democrat Mark Herring relentlessly attacked his GOP opponents. He branded them as narrow-minded partisans. Herring claimed he would bring independent thought to the AG’s office. But he even took this narrative several strides further. You see, the Attorney General at the time, Ken Cuccinelli, held onto his role as AG while also running to be elected Governor. Herring decided to frame this as bad form. He accused the Republican of being too political. 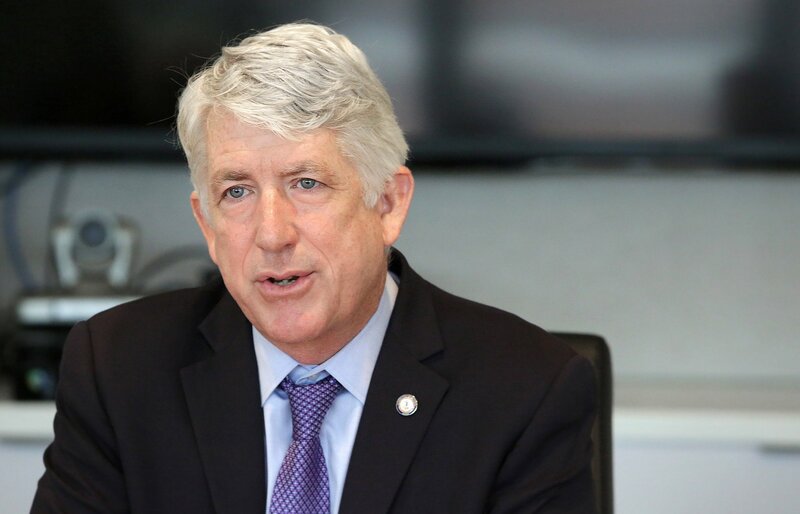 Mark Herring pledged that if he ever ran for Governor, he would resign his role as Attorney General. Of course, this was before he had won the election. And now that he’s holding the seat, his ethics appear to have shifted. But in violation of his own standard, he intends to hold onto his job as Attorney General through campaign season and until the end of his term. This move shatters his 2013 promise to give up his seat for the sake of the office. In fact, his complaints of politics polluting the Attorney General’s office have come full circle. GOP officials are calling for him to stay true to his 2013 promise to resign. However, along with the personal legislative agenda he plans to push this January, it appears his complaints of politics in the AG’s office were empty words. Unfortunately, he wouldn’t be the first politician to lie to Virginians. Now, all that remains to be seen is whether Herring will suffer at the ballot box for breaking his campaign pledge, or whether Virginians have grown numb to broken campaign promises. ANd he\s running for governor! When I saw the title, I thought the past action that would sink him was his abrupt cancellation (apparently without consulting then Gov McAuliffe) of reciprocity with a large number of states that caused such an uproar that McAuliffe had to rescind the directive. Besides this, Herring is the most leftist, anti-gun, partisan, pro-transgenders in bathrooms, opponent sliming jack wagon in VA Attorney General history. Other than that, he’s okay (sarc).